Some stories are so timeless they are produced over and over. Pride & Prejudice, Jane Eyre, Wuthering Heights . . . Last time in Top 10 Desert Island Historical Movies, I picked obscurish period films, hoping I might suggest something new you’d want to see, then email me to discuss it late into the night like the insomniac little geeks that we are. I’m probably picking a fight in naming the definitively best Austen and Brontë adaptations. The staples, conspicuously missing from the Desert Island list. Consider this list an annex, because who could survive without these classics? Not me. 1. Let’s get this out of the way. Hands-down, the best adaptation of Pride and Prejudice features a heroine with her mouth not constantly hanging agape: the much-beloved 6-episode version from A&E. Why? Because Colin Firth and Jennifer Ehle understand what gives regency romance its heat: the power of a sideways glance or a gloved touch. Emotional outbursts and flailing gestures are for modern gum-chewing Americans, not Lizzie Bennet. The development between Mr. Darcy and Elizabeth happens between the lines, and this version really makes it sing. I expect some antagony from fans of the 2005 Pride & Prejudice starring Kiera Knightley and Matthew Macfayden. Despite beautiful cinematography, an epic and emotive soundtrack by Marianelli, and the deliciously surly Judi Dench as Lady de Bourgh, I found some faults unforgivable. The squalor of the Bennet’s estate and the women’s perpetually disheveled coifs, for example. Did I mention the heroine’s mouth hanging open throughout? 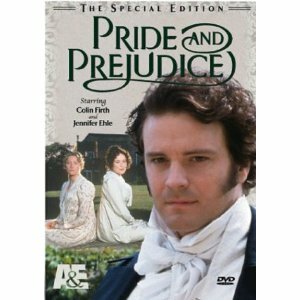 Matthew Macfayden is a passable Mr. Darcy with his reserve and cold manners, but Colin Firth simply is Mr. Darcy. Authority, arrogance, animal magnetism: Alpha male! The 2005 P&P is good. I was moved… but it was the music and the scenery I found inspiring, not so much the actors’ performances. While each contributed noteworthy performances individually, I found the chemistry between the lead characters unconvincing, and that’s why it comes in second. The A&E Pride & Prejudice, however, satisfies on all counts. 2. 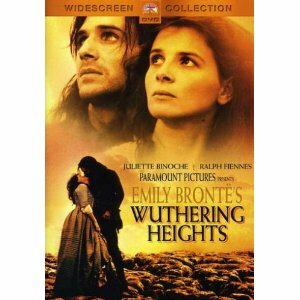 Wuthering Heights is about love and hate, mixed. Oh, and everybody dies, but what else is expected from the gothic horror / romance that’s scandalized its readership since 1847? A Wuthering Heights film adaptation worthy of Brontë’s novel should feel somewhat like watching a train wreck in slow motion. I thought the Ralph Fiennes / Juliette Binoche version was my favorite – it boasts the best soundtrack and stunning cinematography – until I saw the 2009 Tom Hardy version from Masterpiece Theater. (The 1939 Laurence Oliver version is also notable.) This one is better. While Ralph Fiennes looks more the part of the gypsy-turned-gentleman, Tom Hardy blew me away with his highly emotional portrayal of Heathcliff. Hatred burns in his eyes, then tenderness the next moment. His physical presence is virile but not too refined; his understated wildness makes him appealing. Most importantly, he made me believe his violence and ruthlessness stems from his twisted love for Cathy. The scene where he mourns her, his demonic soul-rending shriek as he clutches the headstone and curses her soul to unrest until he joins her, is pure art, and devastating. Charlotte Riley’s Cathy is a triumph. Bewitching, free-spirited, she also manages to avoid the naïvete overly done in other versions. She doesn’t shy away from the modernly gauche notion of being dominated by a man, as Hardy’s Heathcliff does so unapologetically. She meets Hardy’s intensity head-on, creating an intense chemistry on screen. The secondary characters are masterfully done without exception. The screenplay is impeccable. Vengeance and devotion, melodrama, a bleak setting on the northern moors – that’s Emily Brontë, and this version is the truest. 3. My favorite Sense & Sensibility used to be the 1999 version starring Kate Winslet, Emma Thompson, and Hugh Grant. It’s endearing and has its shining moments, despite the oafish Grant as Edward Ferrars. The 2008 BBC Sense & Sensibility adaptation captures the emotional depth of the story I believe Austen intended. Not just wit and pretty manners, Austen’s novels highlight the hypocrisy of society, condemns selfishness and folly, and protests women’s dependence on men. Sense & Sensibility’s ambitious plot depends on the success of no less than six colorful important characters, and this version has no weak links. The moments of disappointment and tragedy are not trivialized, and the villains are truly detestable. The characters credited with more reserve (Elinor and Edward) infused their roles with plenty of strength, which saved them from being sulky martyrs. Since so many other adaptations fall flat, this romance author approves the extra attention to the love stories in the BBC version. 4. Charlotte Brontë’s Jane Eyre might be the most frequently produced historical. I count ten versions on Amazon.com. I own five. No contest, the best is the 2011 Jane Eyre adaptation with Michael Fassbender and Mia Wasikowska (say that fast five times). Yes, the plot is a bit pared down, but I’m not complaining, since so many Jane Eyre screenplays err in the pacing (frankly, they drag) and falter in the most essential element: romance. As in any Brontë story, love pushes the boundaries of ethics, even transcends the mortal realm. This version delivers, with a capital D. Or is it F, for Fassbender? Enough said. Blind persons might ask, what makes Fassbender’s Rochester so superior? It’s his masterful balance of the character’s dual natures. Mr. Rochester is embittered and world-weary yet has the soul of a poet, with the capacity to love deeply. Fassbender’s portrayal masters all that, plus his Rochester has both vitality and maturity, a contradiction which makes the attraction between him and Jane believable. This is reinforced by Mia Wasikowska’s vulnerable but strong Jane, who meets Fassbender’s derision with queenly defiance. The sum of it all? Edgy, artistic passion. Few other actors escaped the unsettling “daddy issues” vibe, with an overly haggard Rochester kissing a too-innocent Jane, resulting in an “Eew!” reaction from the viewer. Conversely, Michael and Mia had me fanning myself. Beyond the A+ chemistry, the two actors succeed in loading their scenes with meaningful silence, wherein they exchange suspicion, reluctant admiration, resentment, fascination, and desire beyond the dialogue. As it should be, the focus is on Jane’s romantic awakening and Mr. Rochester’s healing, not “How cranky can we make Mr. Rochester?” Aided by the magical, emotive and slightly spooky soundtrack in the romantic tradition of Elgar and Samuel Barber (Marianelli again – no wonder), the overall theme of desolation versus redemption really shines, in all its gothic glory. 5. I confess to being an emotional curmudgeon. Blame it on my Swiss ancestors, a statue probably weeps more often than I do. At the end of BBC’s 2009 Emma, I shed a tear or two, muttering sappy phrases like “It’s just so beautiful!” With such expressive, sublime performances from the cast, I forgot I was watching a movie. The incomparable Ramola Garai turns every role she plays to gold but outdoes herself as Jane Austen’s Emma Woodhouse. She practically glows with rosy innocence. With nods to Gwenyth Paltrow and Jeremy Northam for their delightful, humorous portrayals in the 1996 adaptation, I must declare the BBC version superior in almost every regard. I can forgive the liberties taken with the plot in exchange for the extra dose of vitality. Mr. Woodhouse is more eccentric and endearing. Emma is painfully frivolous – I was embarrassed for her – then she emerges with a realistic sense of charity and dignity. Miss Smith seems a more viable threat to the “happily ever after.” Mr. Elton is beyond annoying; he is insufferable. In this version, Mr. Churchill’s manipulations cross from careless to dastardly. This is the most passionate Mr. Knightley portrayal I’ve seen, which makes him more heroic. The BBC version is dynamic yet does justice to the lovely pastoral spirit of the story. If you only see one version of Emma, this is it. There you have it, Austen and Brontë fans. What do you think? Agree? Or did I get it all wrong? Leave a comment – I’d love to hear from you. I wish we had space to mention other important historical adaptations. What about Les Miserables? Jane Austen’s Persuasion? Little Dorritt, The Buccaneers, Tess of the D’Urbervilles . . . so many wonderful movies and no shortage of laundry. Next time I’ll make a list of Historical Movies to Enjoy While Folding Laundry. Jonny Lee Miller as Mr. Knightley?!?! Really? Oh, no! Obviously you and I have read different versions of the novels “Jane Eyre” and “Emma”! Jonny Lee Miller as Mr. Knightley can not even be close to Jane Austen’s Knightley, unlike from Jeremy Northam!!! You don’t like Michael Fassbender as Mr. Rochester? Really? You’re right – the 2006 Stephens/Wilson was worth a mention. My bad. Until last year’s release, that was my favorite too. Recently I sat down and watched the 5 most recent adaptations in a marathon: Clarke/Dalton, Morton/Hinds, Paquin/Hurt, Wilson/Stephens, and Wasikowska/Fassbender. What surprised me most was how much my preferences changed, comparing the movies back to back. (Why didn’t I notice the stilted dialogue in this one? The actors seem awkward in that one, etc.) While each has its virtues, I felt the newest version blew the others out of the water. Other than superior production quality, the most important difference was the chemistry between Rochester and Jane. While I could say Stephens gave a fascinating performance, I can’t say he and Ruth Wilson were great together. They had me grimacing, in fact. While I’ll agree that I failed to give other adaptations a deserving nod, I stand behind my recommendation. I’ll also agree Jeremy Northam was fantastic as Mr. Knightley. The two versions Paltrow/Northam and the new BBC with Romola Garai are favorites of mine. I enjoy them both. It’s a matter of opinion in choosing the best, right? I thought Miller’s more subdued Mr. Knightley complimented Garai’s almost blindingly spry Emma. More subdued – but not less expressive, and he was dynamite with Garai, which matters a lot to me. I want to really believe the chemistry between the hero and heroine. Not saying Paltrow and Knightley lacked chemistry – the opposite is true – but that version is more light-hearted. The new BBC version really spoke to me. Thanks again for writing, Marry. Hope to see you here again. Sorry for the spam, but I forgot to mention the BBC version of Pride and Prejudice from 1980. I find it for closer to the book and, for me, Colin Firth simply is NOT Mr. Darcy, he is well as Darcy, but not as so truly as book’s one. David Rintoul from 1980’s version is more truthful as Darcy, I think. The 1980 version was my introduction to Jane Austin. One Sunday night in 1982 the PBS station in Phoenix played the entire 5 hours in one night. My Mom and I sat and watched it all. Within a week of watching it, I purchased the book and started reading. It follows the style of the Masterpiece Theaters of the early ’80s. The stagy feel with very little background music is so different from the current productions. My girls hate it but I still love it because it introduced me to the wonderful words of Jane Austin. I just want to say thanks. 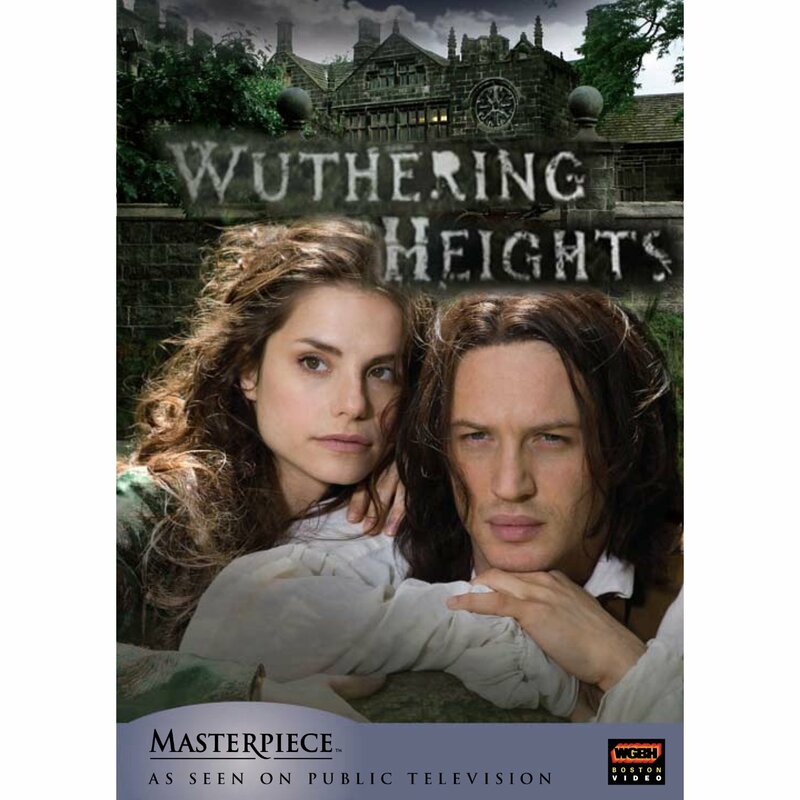 🙂 I was looking for info about the 2012 Wuthering Heights, and I ran across your page. I judge reviews and reviewers of movies on how they feel about the different versions of P&P, S&S, and Emma. You explained perfectly my thoughts on all three, so I feel confident in your choice for the 2011 Jane Eyre (how did I miss this coming out?). Guess I’ll have to wait and see what you think about the new Wuthering Heights until later! I look forward to reading more of your reviews, and thanks for the help choosing which one(s) to buy! Hello, Emily. Nice to meet a fellow Bronte buff! Thanks for the tip – I’ll go check out the new Wuthering Heights. Can’t wait. Hi, Serena! Thanks for stopping by. Amen to all of that… and I do understand why you love Wuthering Heights so much. I still insist you’re missing out! Maybe someday you’ll give the Tom Hardy version a try. Then let me know what you think. What Bronte novel depicts a man who keeps his wife in the basement because she is uncontrollably insane? I love British period pieces and British drama in general. I think the Brits do a much better job than the Americans especially now days however I have to say I am really offended by your remarks about overly emotional, flailing, gum chewing Americans. What is it is it about you Brits that you have the need to constantly insult us? It’s prevalent on TV also-I watch a lot of British television and it seems like almost every single production has some slam about Americans which is extremely rude. Move on! I won’t argue the merits of the various productions that you have listed here – there are so many good ones. I do agree that Romola Garai was fabulous as Emma. I completely agree with all your choices although I would call a tie with Michael Fassbinders Jane Eyre to that of Ciaran Hinds version. (LOVE his PERSUASION as well) The first time I saw Tom Hardy was in Wuthering Heights and fell in love with his powerful performance. Had an opportunity to see him in a play in Chicago and told my friend way back when that Tom Hardy was going to be a huge STAR. He is sublime!! So talented and his wife Charlotte Riley. Just wish he would do more movies with “meaty” plot lines instead of over the top comic book characters. He was amazing in ITV “ The Take” and the twins movie. Also- forgot to mention Colin Firth/Jennifer Ehle P&P. – my all time fav. Every supporting actor in this version was perfect!! Jennifer Ehle is superb! !